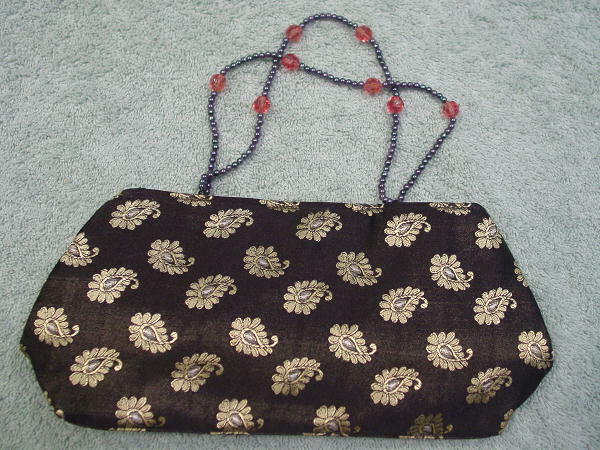 This 100% polyester purse was made in India. It has an interior magnetic snap closure and a black fabric lining with a small open pocket. The two handles are made of little dark gray beads, four black beads, and eight larger amber-pink beads. There is a black background with bright brass color designs, each with white thread centers.